This Silicone Sleeve fits the 4oz regular-mouth Ball Quilted mason jar (J80400). 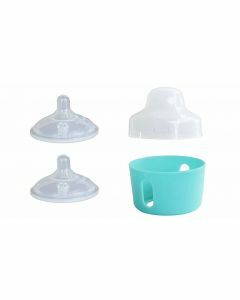 While it was designed for the bottle, it is useful well beyond the baby stage! 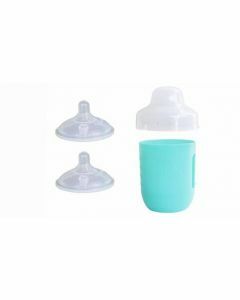 It provides extra protection and a better grip during use as a bottle, sippy cup or even a snack container! The sleeve has volume markings in ounces & milliliters and windows on both sides allows easy viewing of contents. It is dishwasher-safe. All components are Made in the USA.